Food Safety – Do You Need To Be Concerned? You are here: Home / Wiser Living / Food Safety – Do You Need To Be Concerned? Most of us don’t give that question a second thought. And why should we? In the US, as in other “first world countries”, our food and the way it moves through the food chain, is monitored and regulated by various government agencies. But even so, at times there are food safety warnings and even recalls of FDA (Food and Drug Administration) regulated foods. According to the FDA, “Food producers recall their products from the marketplace when the products are mislabeled or when the food may present a health hazard to consumers because the food is contaminated or has caused a foodborne illness outbreak”. Unfortunately safety warnings and recalls are not as infrequent as we’d like them to be. And people, in the US and all over the world, do get sick from foodborne illnesses. 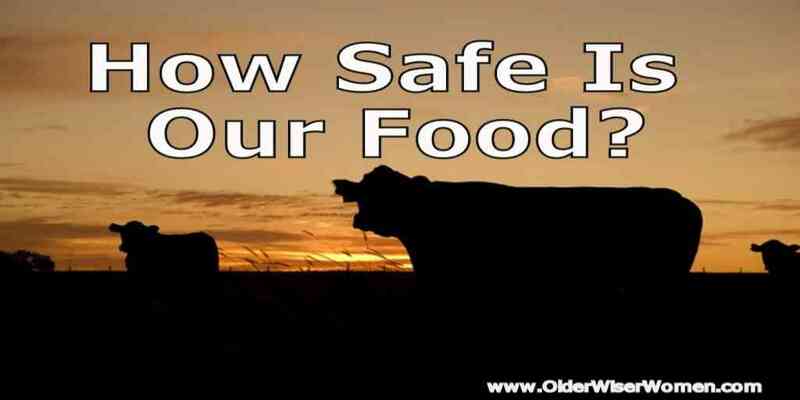 Knowing and understanding the issues around food safety are even more important as you get older. Some of the infections caused by contaminated foods tend to affect people with poor or compromised health to a larger degree. 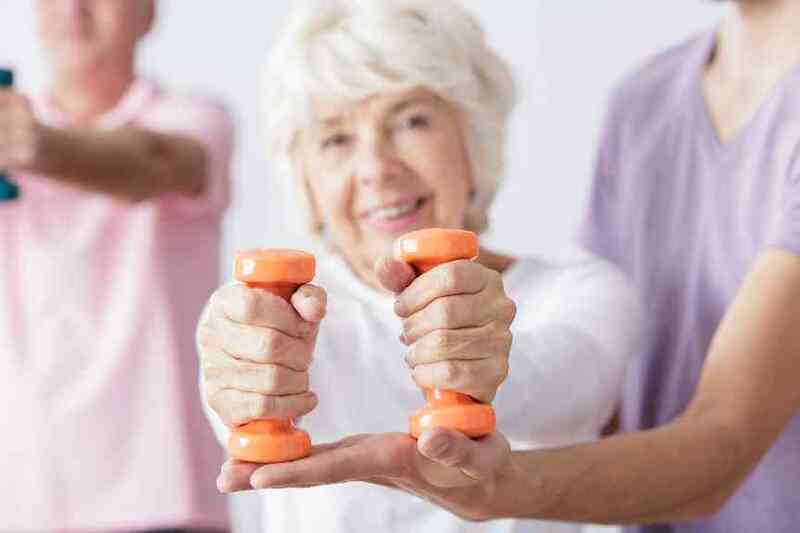 Young children, the elderly and people already battling illness, are at much greater risk for serious illness. Not long ago, the WHO (World Health Organization) published information and facts on food safety. You can read the main points below. The great majority of people will experience a food or water borne disease at some point in their lives. This highlights the importance of making sure the food we eat is not contaminated with potentially harmful bacteria, parasites, viruses, toxins and chemicals. “Food safety: from farm to plate, make food safe” is the theme of World Health Day 2015. The day focuses on demonstrating the importance of food safety along the whole length of the food chain in a globalised world, from production and transport, to preparation and consumption. Over the past half century, the process by which food gets from the farm to the plate has changed drastically. Food contamination that occurs in one place may affect the health of consumers living on the other side of the planet. This means that everyone along the production chain, from producer to consumer, must observe safe food handling practices. 1. More than 200 diseases are spread through food. Millions of people fall ill every year and many die as a result of eating unsafe food. Diarrhoeal diseases alone kill an estimated 1.5 million children annually, and most of these illnesses are attributed to contaminated food or drinking water. Proper food preparation can prevent most foodborne diseases. 2. Contaminated foods can cause long-term health problems. The most common symptoms of foodborne disease are stomach pains, vomiting and diarrhoea. Food contaminated with heavy metals or with naturally occurring toxins can also cause long-term health problems including cancer and neurological disorders. 3. Foodborne diseases affect vulnerable people harder than other groups. Infections caused by contaminated food have a much higher impact on populations with poor or fragile health status and can easily lead to serious illness and death. For infants, pregnant women, the sick and the elderly, the consequences of foodborne disease are usually more severe and may be fatal. 4. There are many opportunities for food contamination to take place. Today’s food supply is complex and involves a range of different stages including on-farm production, slaughtering or harvesting, processing, storage, transport and distribution before the food reaches the consumers. 5. Globalization makes food safety more complex and essential. To improve food safety, a multitude of different professionals are working together, making use of the best available science and technologies. Different governmental departments and agencies, encompassing public health, agriculture, education and trade, need to collaborate and communicate with each other and engage with the civil society including consumer groups. 7. Food contamination also affects the economy and society as a whole. Food contamination has far reaching effects beyond direct public health consequences – it undermines food exports, tourism, livelihoods of food handlers and economic development, both in developed and developing countries. 8. Some harmful bacteria are becoming resistant to drug treatments. Antimicrobial resistance is a growing global health concern. Overuse and misuse of antimicrobials in agriculture and animal husbandry, in addition to human clinical uses, is one of the factors leading to the emergence and spread of antimicrobial resistance. Antimicrobial-resistant bacteria in animals may be transmitted to humans via food. 9. Everybody has a role to play in keeping food safe. Food safety is a shared responsibility between governments, industry, producers, academia, and consumers. Everyone has a role to play. Achieving food safety is a multi-sectoral effort requiring expertise from a range of different disciplines – toxicology, microbiology, parasitology, nutrition, health economics, and human and veterinary medicine. Local communities, women’s groups and school education also play an important role. 10. Consumers must be well informed on food safety practices. People should make informed and wise food choices and adopt adequate behaviors. They should know common food hazards and how to handle food safely, using the information provided in food labelling. Here is what you can do to your part in the equation and to ensure the relative safety of your food. Use antibiotics only when necessary. Always wash your hands before handling food and before eating. Keep the area used for the preparation of foods clean. Separate different types of foods: raw meat, poultry and seafood from cooked foods. When preparing different types of foods use separate tools (such as knives, cutting boards and containers) to avoid cross contamination of food. Store foods at safe temperatures. And again, wash hands often and thoroughly. Being informed about the origin of your food and washing your hands frequently are two of the most important things you can do to stay safe!